Ladyfingers sponge soaked in neat espresso coffee, infused with rum and layered with creamy mascapone cheese. Finished with a dust of aromatic cocoa powder. 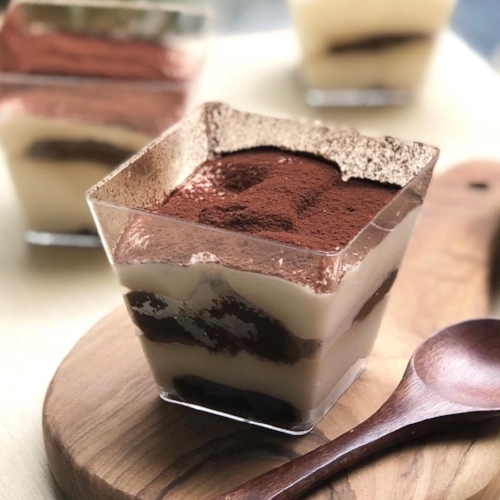 A little twist to the Italian Tiramisu, this alcohol free dessert is made less sweet. Each cup is filled with ladyfingers sponge soaked in Kyoto-Uji matcha tea and layered with creamy mascapone cheese. Finished with a dust of matcha powder.